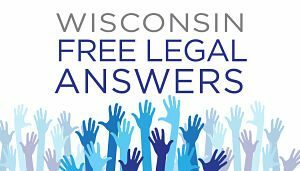 Wisconsin Free Legal Answers provides an easy to use way for eligible members of the public to obtain free legal advice from licensed Wisconsin attorneys. Attorneys volunteer their time to answer civil legal questions posed by eligible individuals through the website. Attorneys can now earn CLE credit for their volunteer time providing legal advice through this project. To ask a question or volunteer, click here. Our service now is part of the national Free Legal Answers network which was developed with assistance from the American Bar Association, the Tennessee Access to Justice Commission, the Tennessee Alliance for Legal Services and the Baker Donelson law firm. The federally funded Legal Services Corporation is the largest single funding source for civil legal services to the indigent in Wisconsin. It continues to enjoy bipartisan support in Congress. But LSC is not immune from calls to reduce or even eliminate funding for the organizations it supports. The Commission shares in the responsibility for ensuring that Wisconsin’s legislative delegation understands that thousands of Wisconsin residents from the biggest cities to the smallest towns depend on access to LSC-funded civil legal services. You can help us. Make sure that your members of Congress know where you stand on providing adequate funding for LSC. You can find helpful background information in this Wisconsin issue brief prepared by the ABA (pdf). The Commission and its equal justice stakeholders have also worked diligently to build bipartisan support in the Wisconsin Legislature for state funding of civil legal services in Wisconsin. Since 2015, the Wisconsin Legislature has appropriated and the Governor has signed a budget that appropriates $500,000 per year for civil legal services to domestic abuse victims. This is a great first step but there is more work to do to ensure that more of Wisconsin’s most vulnerable residents have access to the legal help they need to get back on their feet. What can you do? Call, write, or visit your state legislators to make sure that they know how much you value their support for civil legal aid to the indigent. Our goal is to increase private foundation giving to civil legal assistance efforts in Wisconsin. The Commission has been meeting with a variety of private funding sources in Wisconsin to educate them about the linkage between access to civil legal assistance and a variety of the social issues that private foundations are seeking to address. We do this through community events that we call Just Breakfast. We’ve held two events, in the Fox Valley and in Wausau, with more in the planning stage. What can you do? Make sure that the family, community and United Way foundations in your area understand the connection between the availability of legal assistance and progress on the social problems that they are trying to address through grants. We developed a great resource to help you do that. Our downloadable Equal Justice Strong Communities brochure can be used as a concise way to preview your message with potential donors or to remind them of the connection between their philanthropic goals and the client services you provide. We’re using it in our outreach campaign to Wisconsin foundations. We also have printed copies available if you need them. Do you have a foundation relationship that you would like to talk about? Contact us. We’d like to hear about it. The Commission led a successful effort to encourage funding of civil legal aid through the distribution of residual funds left over in class action settlement funds. The effort began with the development of a fact sheet on the voluntary use of what is called cy pres to direct unclaimed class action settlement funds to support civil legal services to the indigent in Wisconsin. We also filed Petition 15-06, which the Wisconsin Supreme Court granted, amending the rule governing state class actions and directing 50% of unclaimed class action settlement funds to the Wisconsin Trust Account Foundation to support civil legal aid. If you are involved in a federal class action case, consider designating a civil legal aid recipient beneficiary for any unclaimed funds as outlined in our fact sheet. When an award is distributed this way, you can rest assured the funds will be used in a manner consistent with the intent of the award. And you can make a significant difference in the lives of Wisconsin residents who desperately need access to civil legal assistance with issues related to safety, housing, employment, health-care and consumer protection. As part of its outreach efforts, the Commission convened a series of six public hearings in communities across Wisconsin to gather and highlight information about the current state of access to justice. Hearings were held in Green Bay, Eau Claire, Milwaukee, Madison, Wausau and La Crosse. At each hearing, advocates for equal justice and members of the community had a chance to share with the Commission and community leaders what they saw as the challenges and opportunities ahead. The Commission’s summary of the issues raised in the hearings and its recommendations are presented in its report, The State of Equal Justice in Wisconsin. What can you do? Help us spread the word about what’s working and what’s not working with access to civil legal help for low-income and vulnerable Wisconsin residents. Members of the Commission and staff are available to speak at your events or to groups in your community about how you can get involved in supporting equal justice for all. We also have public outreach materials that you can incorporate into your planning and services. The Commission launched the Wisconsin Pro Bono Honor Society to recognize lawyers who have provided at least 50 hours of pro bono legal services benefiting persons of limited means. Our goal is to increase the number of lawyers doing pro bono work and to ensure that they receive the support that they need from our stakeholders. Expanding public recognition is part of that effort. We also launched a free online legal clinic, Wisconsin Free Legal Answers, to make brief legal advice available to more Wisconsin residents. The system screens clients for eligibility and allows them to post a question to a private messaging system. The questions are answered by volunteer Wisconsin attorneys. We also proud to support the State Bar of Wisconsin’s successful effort to allow lawyers to claim CLE credit for some of their pro bono work. Rosa is a 45-year-old, single, Hispanic mother of two minor children. She has a ninth-grade education and her ability to read and write English is limited. When her health after several surgeries prevented her from performing her work, she lost her job, which led to foreclosure of her family home. Rosa applied for SSI disability benefits on her own but her original claim was denied. Her request for reconsideration was also denied. Rosa heard about the work of the Legal Aid Society and asked for help. A staff attorney represented her to appeal the SSI denials and won. Rosa was awarded social security disability benefits, plus a retroactive award dating back to her first surgery. In addition, the Legal Aid Society was able to obtain medical assistance benefits for her current and future medical care. With a stable income and health insurance, Rosa hopes to return to the work force when she recovers. “Torrance” is a deaf African American man with a wife and two young children. The family’s landlord filed an eviction action after the building went into foreclosure. A Legal Aid Society of Milwaukee. staff attorney Rachel Arfa, who is both profoundly deaf and fluent in American Sign Language, represented Torrance and his family. She obtained an interpreter under the Americans with Disabilities Act to assist Torrance in his court appearances. She also helped him assert his rights under the Federal Protecting Tenants at Foreclosure Act, which resulted in the court granting Torrance and his family a 90-day extension of time to seek, and eventually find, acceptable new housing. Attorney Arfa then obtained a dismissal of the eviction proceeding to clear Torrance’s credit record. Ruth worked on a machine line for a manufacturing company for 23 years. She obtained the job as part of special education services she received for her intellectual disabilities during the transition from high school. As part of cut-backs, the company decided to test employees on their machines to have them, in essence, reapply for their jobs. Ruth asked for reasonable accommodations in taking the test, including extra time and having someone read the questions to her and write down her answers. She was denied any accommodations, failed the test and was fired. Ruth’s cognitive disability left her unable to represent herself, so she and her family came to Disability Rights Wisconsin (DRW) for help. DRW advised Ruth that she should file a complaint with Wisconsin’s Equal Rights Division. DRW then worked with Ruth and her family to prove her case. When the case was certified for a hearing by the Equal Rights Division, the company agreed to settle, providing Ruth with back pay of $9,000, and a favorable letter of reference.